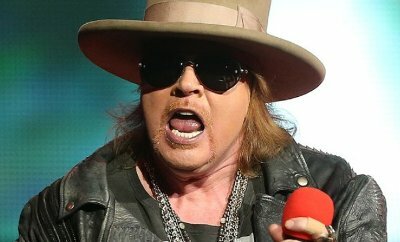 One day after Billie Joe Armstrong had some strong words to say about Donald Trump (and even stronger words for a Trump supporter), Guns N' Roses and AC/DC rocker Axl Rose has jumped into the ring. Rose was responding to Press Secretary Sarah Sanders' defense of Trump after a new book called him unfit to serve. "It's disgraceful and laughable. If he was unfit, he probably wouldn't be sitting there, wouldn't have defeated the most qualified group of candidates the Republican Party has ever seen." This isn't the first time that Rose has gotten political on Twitter. As opposed to putting them in the White House n' as Attorney General.